The ZH400UST is powered by long-lasting, low maintenance DuraCore laser light source. The lamp-less and filter-free design vastly reduces running costs for a low total cost of ownership. Weighing only 5.6kg, this projector can be mounted just centimetres away from a wall or surface and can project an image size of over 100 inches (254cm). Supporting 24/7 operation and versatile orientation, the ZH400UST is a flexible, powerful and bright ultra short throw projector which makes for a superb signage solution where space or accessibility can be limited, such as shop windows or retail displays. Industry leading lifetime is achieved using Optoma’s DuraCore technology. Implementing advanced laser diode cooling techniques and an innovative dust resistant design. 20,000 hours provides a staggering 13 years of normal use*1 or 2.2 years if run continuously 24/7. The ZH400UST has been independently tested and certified with an IP5X dust resistance rating. Outstanding resistance to dust in combination with exceptional brightness ensures industry leading durability; paramount for 24/7 maintenance free operation in challenging environments; the dust resistance was tested by an independent laboratory in accordance with IEC standard 60529 and was certified with an IP5X rating. The dust resistant filter-free design prevents dust and dirt from affecting the system, ensuring optimal image quality with minimal maintenance. Delivering outstanding reliability, high intensity brightness, stunning colors and spectacular image quality, the ZH/ZW400UST(i) series is precision engineered to power larger than life experiences. The Optoma ZH/ZW400UST(i) is the perfect solution for classrooms, meeting rooms and space limited projection projects, even digital signage, with or without interactivity requirement. 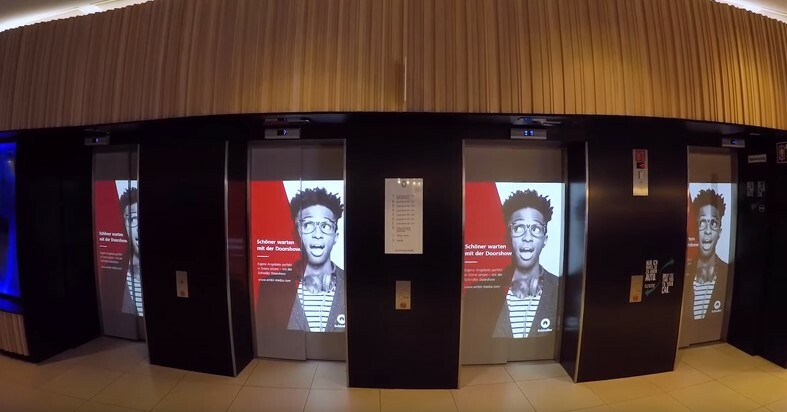 Eye-catching content and bright lifelike images guarantee to engage and capture the interest of an audience at any visitor or entertainment venue. The lightweight and dynamic ZH400UST satisfies the requirements for a dependable signage solution. Supporting portrait mode, rear and downward projection, this UST projector offers complete flexibility for any professional installation. The ultra-high 100,000:1 contrast ratio ensures no detail is lost which is key for punchy corporate presentations, retail signage and projection mapping where every detail matters. The 4000 lumen light source delivers exceptional consistent brightness, rendering vibrant images, even in high levels of ambient light. Large images with a diagonal measurement of 100 inches (254cm) can be accomplished from a throw distance of just 31cm. The DuraCore laser light engine replaces the traditional lamp based projector removing the need for replacement lamps, maintaining low running costs. 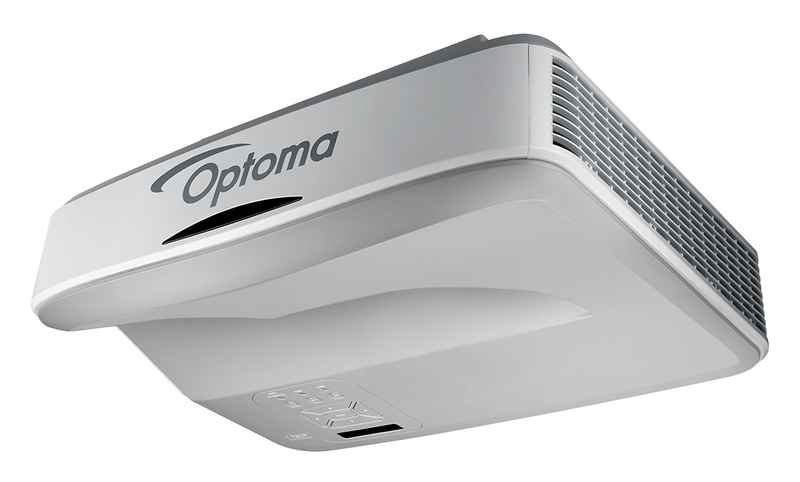 Unlike lamp based projectors, the DuraCore laser supports instant power on/off. The efficiency of the laser helps the projector run more quietly with lower energy consumption and heat dissipation. Industrial grade simulators for aircraft, track cars and commercial vehicles demand ultra-high resolution projectors capable of maintaining high consistent brightness levels. Simulators can now be implemented using fewer projectors, reducing overall complexity in terms of hardware. Thanks to the native 1920 x 1080 resolution, even complex, computer generated images can be displayed with remarkable clarity. High resolution and high contrast make this model suitable for installation in control rooms where fine lines and small text must demonstrate pixel perfect precision. CAD environments, architecture and 3D modelling all require projected images with absolute clarity and accuracy. The projector is fully 3D compatible, and can be used in conjunction with active shutter glasses to generate convincing 3D visuals. High quality UST lens delivers large images from a short projection distance. Presenter dazzle and image shadows are avoided. 4000 lumens, Full HD 1080p, 100,000:1 contrast ratio. Wide coverage of Rec. 709 color gamut. Image quality is of paramount importance for every installation product. The ZH400UST delivers deep rich and colorful images whilst maintaining an exceptional high level of consistent brightness that will captivate and engage any audience. The Optoma ZH/ZW400UST(i) series uses DLP® technology for its image quality and unmatched reliability. The reflective nature of DLP® micro-mirror technology provides highly efficient bright images with great contrast whilst maintaining precise color accuracy and natural, real-world color reproduction. For demanding professional applications, the proven reliability of DLP® technology makes it the obvious choice. Superb color accuracy and powerful color performance is achieved because of the wide coverage of Rec. 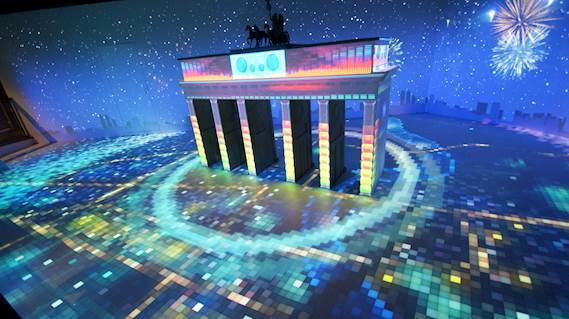 709 color gamut typically associated with DLP® technology. The total cost of ownership of a projector is not in the purchase cost but in expensive maintenance and service. The Optoma ZH/ZW400UST(i) series projectors require very little maintenance; have no user serviceable parts inside and no filters that require periodic replacement. The result is low cost, predictable service cycles, enabling planned down time to be minimized. 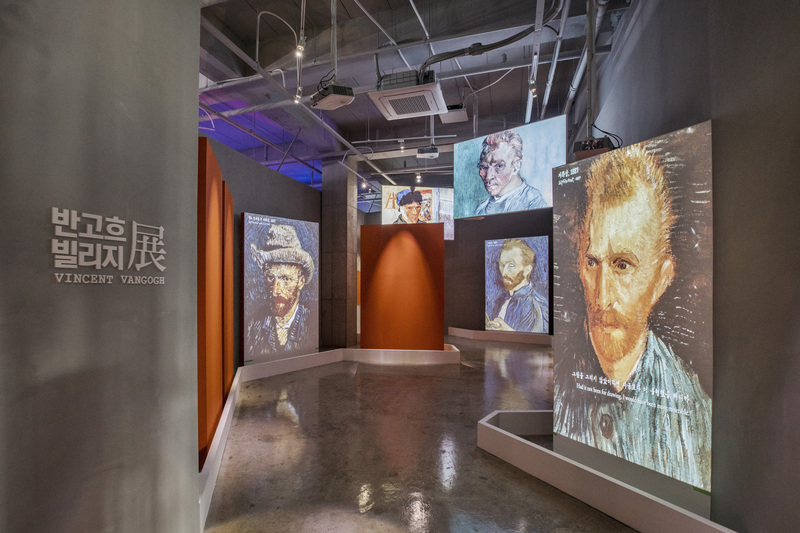 Images can be projected in portrait mode, where the projector is operated on its side, to produce a tall, thin image. This is perfect for digital signage applications, particularly in retail premises. 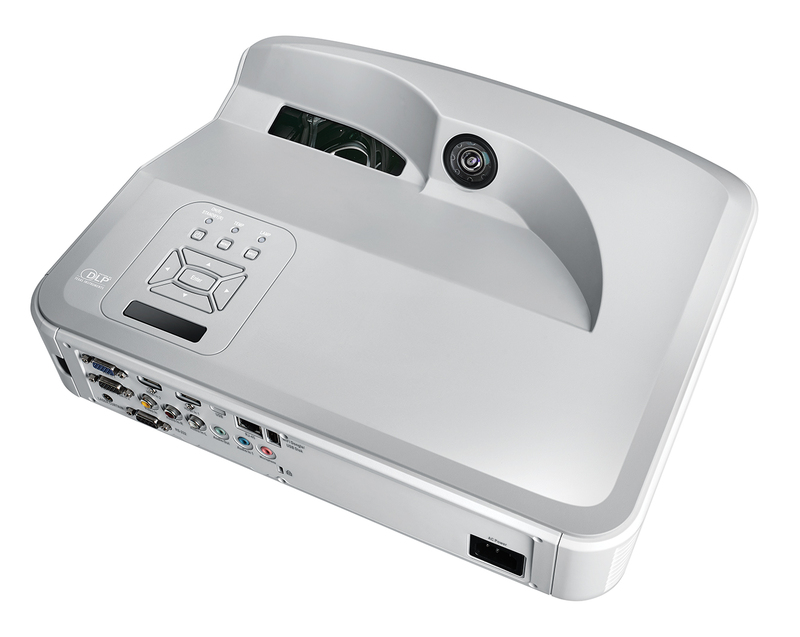 Multiple projectors can be monitored over the LAN and can also send an email alert via Crestron RoomView in the event of an error or a lamp failure. Projector status can be monitored via a web browser, while Extron IP Link, AMX Device Discovery and PJ-Link protocols offer remote management of most functions across a network, keeping you in control wherever you are. Cut up to 30% from your energy bills using 24-hour automated power scheduling to ensure that projectors power off when not in use. 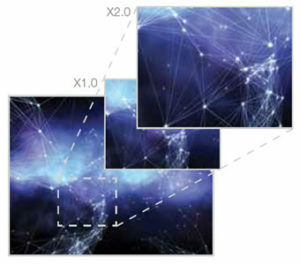 The digital zoom feature can be used to increase the magnification of a particular area, allowing explanation of the projected image in more detail. Misaligned images can be quickly adjusted with vertical keystone correction. Project crystal clear images using either of the twin HDMI inputs. HDMI V1.4a is supported, including MHL on one of the inputs. Computer and HD video sources are supported, while separate audio cables are no longer required. The powerful built in 10W loudspeaker can be used in conjunction with a microphone, to capture the attention of the audience. Expensive additional audio hardware and cabling can therefore be eliminated in smaller meeting rooms. For larger installations, audio inputs from a computer or video source can also be handled, allowing the projector to act as an audio switcher and volume controller, alongside an external audio amplifier and speakers. 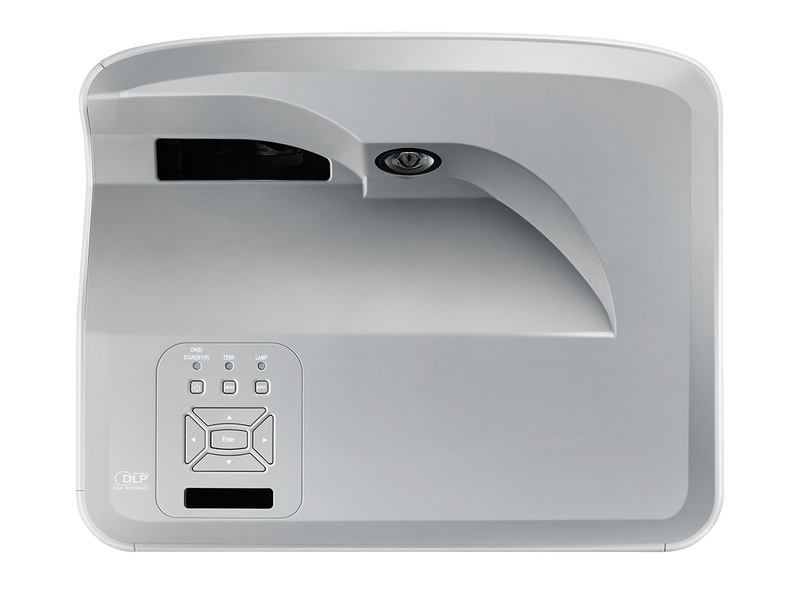 The projector features a Kensington Lock slot to deter theft, while password protection prevents unauthorised use. 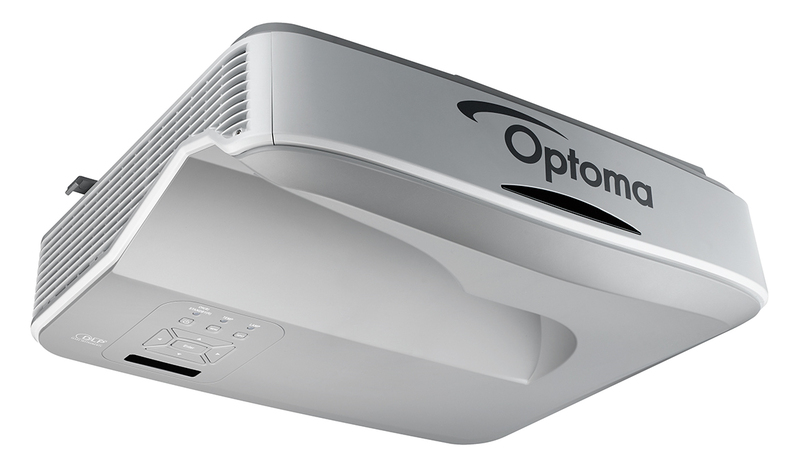 The 3D features of Optoma projectors can only be used with compatible 3D content. Typical applications include use with 3D educational or 3D design and modelling systems. 3D television broadcast systems, (SKY in the UK), Blu-ray 3D™ and 3D games from the Sony® PS3 and Microsoft® Xbox 360 are now supported as part of the HDMI v1.4a specification.